I tracked this down for you. It came from "15 Fan Theories that will change the way you see these movies." on ViralThread. And it's pretty cute. But it's pretty obvious that it wasn't written by someone who was a computer nerd himself. Or a Douglas Adams geek, for that matter. Those who are both would refine it, I think. To start with, ASCII's not a language, and it's really not software. It's a way of representing data. That pedantry aside, "anything you want it to be" is a terribly imprecise translation for a coder. I'd go so far as to say it's just wrong. If we want to designate "any value you want" in programming, we use a variable, and speak of such things as "n dimensions". Here's a good example: [LINK]. 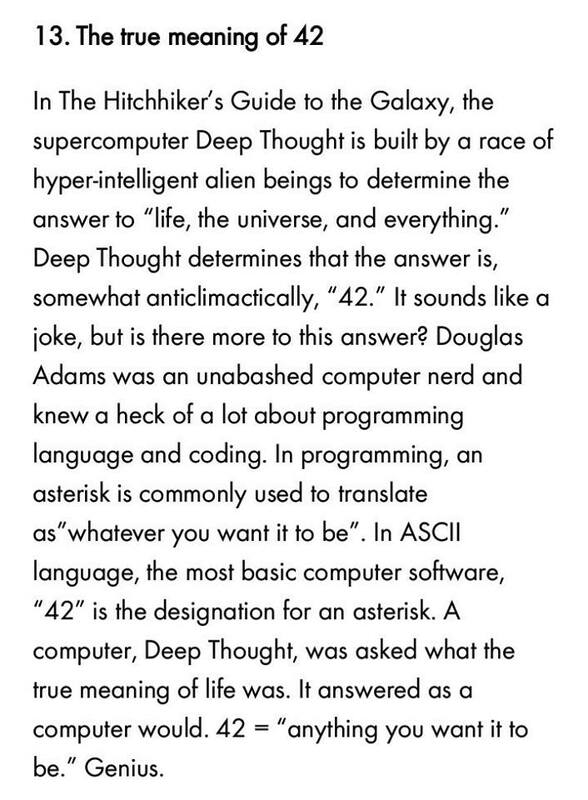 But ASCII 42 (the "asterisk" or "star") isn't a variable. Rather, it is commonly known as a wildcard character. It has nothing to do with what you want and absolutely everything to do with what exists. It more literally (and quite precisely) indicates that what you see returned is "all there is." To be exact, it matches 0 or more characters in a string (such as a filename) while expressing no preference for what those characters might be. For instance, in Unix, saying "cp * /dest" will copy everything from the current directory into a directory called "dest". And if there's nothing there, it copies nothing. But it won't create files for you just because you want them. I stress that it can't be something that isn't already there. 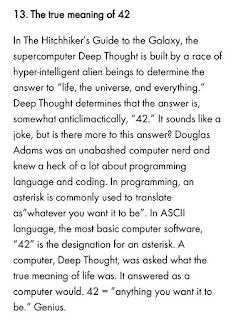 In short, ASCII 42 by itself is a way of representing "everything that exists". 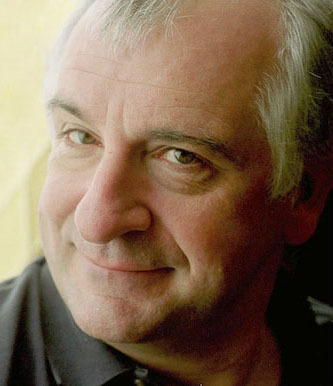 Douglas Adams was a self-described "radical atheist" (he so labeled himself to stress that he wasn't agnostic. Rather, he was firmly convinced that God does not exist), and this wildcard interpretation is far more in keeping with his own philosophy. He'd put the sort of Chopra-esque metaphysical message as the opening quote right out in the open and lampoon it. I certainly don't think he would hide it as a deep message in his work. Rather, every word he wrote illustrated the absurdity of life. And he wasn't coy about it. That's also reflected in personal interviews. It was brilliant, yes, even if were accidentally so... but in a much different way than indicated at the top of this article. Were I to put it in English, I'd say, "This is it, folks. What you see is what you get." And to be sure... Adams would not have blocked any attempt you made to examine the Universe you find yourself in, and try to find meaning in what you see. But he's been known to portray those who do so as scientists who became their own laboratory mice. Meaning? Puh-leeze. Look around. "I want the answer to Life, the Universe, and Everything." The answer makes sense now, right? It's time to think about the question.